75. Take I75 to exit 15 in Naples. From the exit, head south on Rt. 951 past Rattlesnake Hammock Rd. and the entrance to Lely Flamingo Resort will be on your right. Cape Coral Pkwy. will become College Pkwy. ). Take US 41 south to Daniels Pkwy. Take Daniels Pkwy east to I75. Head south on I75 toward Naples to exit 15. From the exit, take Rt. 951 south past Rattlesnake Hammock Rd. and the entrance to Lely Resort will be on your right. Go to I75. Take I75 south to exit 101 (Rte 951) in Naples. Take Rte 951 (Collier Blvd) south past Rattlesnake Hammock Road to the Lely Resort entrance on your right. Take I75 to exit 15 in Naples (Marco Island Exit). From the exit, head south on Rt. 951 past Rattlesnake Hammock Rd. The entrance to Lely Resort will be on your right. From Radio Rd. go east to Rt. 951. Take Rt. 951 south past Rattlesnake Hammock Rd. The entrance to Lely Resort will be on your right. Take I75 to exit 101 in Naples (Marco Island Exit). From the exit, head south on Rt. 951 past Rattlesnake Hammock Rd. The entrance to Lely Resort will be on your right. Follow signs to the Flamingo Island proshop. Go to I75. Take I75 to exit 15 in Naples (Marco Island Exit). From the exit, head south on Rt. 951 past Rattlesnake Hammock Rd. The entrance to Lely Resort will be on your right. Follow signs to the Flamingo Island proshop. From Vanderbilt Beach take US 41 to Pine Ridge Rd. Take Pine Ridge Rd to I75. Take I75 to exit 15 in Naples. From the exit take Rt. 951 south, past Rattlesnake Hammock Rd. The entrance to Lely Resort will be on your right. Very warm welcome, good reception of our Tee Times USA itinerary. Perfect conditions on exercising areas and course, relaxed and non-crowded game.Well worth a visit. Very challenging course in nice shape. Would highly recommend playing Flamingo Island, especially if you are staying at the GreenLinks property. Course was a bit dry but still in decent shape - good resort course with a good challenge. This was our second time playing and would play again. Beautiful resort course and golf complex. Liked everything about the Lely golf complex, practice facilities, club house, and the course(s). Well maintained and good challenge. Top notch. The best course in Florida I have ever played on. Greens were extremely fast. GPS carts made the course very playable, finished in 4 hours not rushing. Would play there again.Staff was unbelievable! Not as good of shape as the Mustang but a good challenge. I did like the scenic view of the hole by the pond. Also loved the visual on the cart screen which showed the other carts location and distances. They have 2 courses. This felt like a course I would play as a regular go to. Wasn't in the best shape but playable. Beautiful course in very good condition. Generous fairways and large greens. Very playable even for longer handicap players. Staff were extremely helpful. We started our round 10 minutes early to our surprise but we did get a chance to hit some balls on the superb range. Our day began with the sunrise and finished at high noon with a great lunch. The course was in good condition. The tee boxes offer plenty of challenge from any yardage. The grounds and clubhouse were very inviting and beckon a return trip. Nice layout. Fairways a little tighter than the Mustang. Greens looked quick but were a little slower than the Mustang. Good track, challenging, greens in good shape. Two beautiful 18 holes golf courses close to Marco Island. Fairways and greens were in perfect conditions. The Flamingo is a must play! an unique experience - friendly people and achallenching course - perfect conditions! Terrific course. We were well treated. Excellent resort.Played both the Flemingo and Mustang on separate days and was awed by the condition of both. Will have these on our yearly trips down. Good course. Nice landscape and challenging holes.Very good personnel at the course. The course is in excellent shape. The greens wererecently redone and were rolling perfectly. Shot making is a pluson this course. Course was well taken care of and staff was veryfriendly. We really enjoyed this course. It was challenging butstill fun. Excellent place to play. Greens roll true - are in very good shape. Greens can be very slow when going uphill. This is a first class operation. Staff was friendly and helpful. Will definitely play here again. Stayed on Lely resort last year. Course was in greatcondition all round Very quite - 3 hrs 10 mins to play. Goodclubhouse and friendly staff. Nice wide fairways - and very playable. My son and Ihad fun. This is a very good course. Great scenery and a wholelot of water holes. I'd love to play it again. Nice course - well above average...maybe a 4 Star rating in my book. Fantastic golf course and beautiful surroundings. All of us enjoyed the playability of this course - yet you had to hit shots. The greens were excellent and fast. Would play this course twice over Mustang. If you have played Flamingo Island Club, we would like to hear from you. Rated as one of the top three courses in Southwest Florida by Golf Digest, Flamingo was the last course designed by Robert Trent Jones, Sr. and is one of his all-time best. One of Naples' top resort courses, it is nestled in the Lely Flamingo Island Club, where the natural beauty of the land enhances the layout and atmosphere. With its hourglass fairways, fingered sand bunkers, large undulating greens and the signature island hole at number 5, this Flamingo Island golf course is destined to provide many exciting memories. 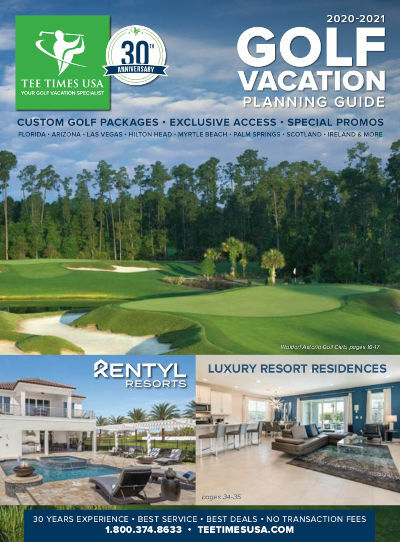 Golfweek twice designated the course as one of "America's Best"